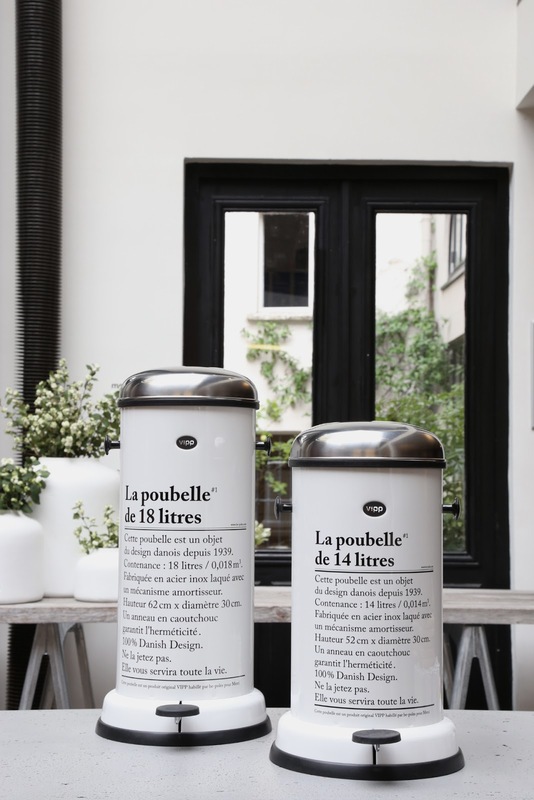 so let me introduce you to this trash can i fell in love with, though i should probably say ‘poubelle’. if its design looks familiar, it’s because you are a fan of paris concept store merci just like i am. their ‘sac merci’ has a prominent place in my home office, and i can’t leave paris without at least a quick glance around the store to see what’s new. well, what’s new now? 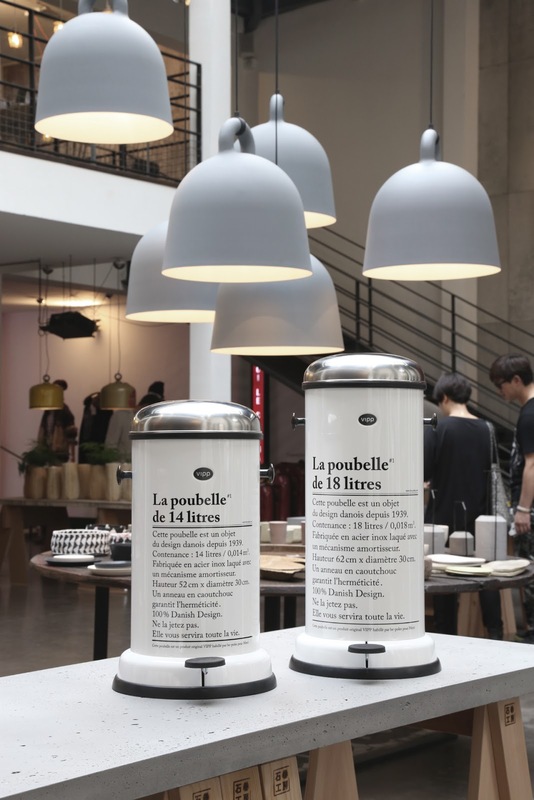 their collab with danish design brand vipp – creator of the quintessential trash can. i don’t think i’ve ever coveted something practical so, so hard. but this limited edition would look great in our apartment, amiright?